A meltwater canyon on the Greenland ice sheet. A new analysis, published Thursday in the journal Science, found that the oceans are heating up 40 percent faster on average than a United Nations panel estimated five years ago. The researchers also concluded that ocean temperatures have broken records for several straight years. “2018 is going to be the warmest year on record for the Earth’s oceans,” said Zeke Hausfather, an energy systems analyst at the independent climate research group Berkeley Earth and an author of the study. Annual observational OHC changes are consistent with each other and consistent with the ensemble means of the CMIP5 models for historical simulations pre-2005 and projections from 2005–2017, giving confidence in future projections to 2100 (RCP2.6 and RCP8.5) (see the supplementary materials). The mean projected OHC changes and their 90% confidence intervals between 2081 and 2100 are shown in bars at the right. The inset depicts the detailed OHC changes after January 1990, using the monthly OHC changes updated to September 2018, along with the other annual observed values superposed. As the planet has warmed, the oceans have provided a critical buffer. They have slowed the effects of climate change by absorbing 93 percent of the heat trapped by the greenhouse gases humans pump into the atmosphere. “If the ocean wasn’t absorbing as much heat, the surface of the land would heat up much faster than it is right now,” said Malin L. Pinsky, an associate professor in the department of ecology, evolution and natural resources at Rutgers University. As the oceans continue to heat up, those effects will become more catastrophic, scientists say. Rainier, more powerful storms like Hurricane Harvey in 2017 and Hurricane Florence in 2018 will become more common, and coastlines around the world will flood more frequently. Coral reefs, whose fish populations are sources of food for hundreds of millions of people, will come under increasing stress; a fifth of all corals have already died in the past three years. People in the tropics, who rely heavily on fish for protein, could be hard hit, said Kathryn Matthews, deputy chief scientist for the conservation group Oceana. Because they play such a critical role in global warming, oceans are one of the most important areas of research for climate scientists. 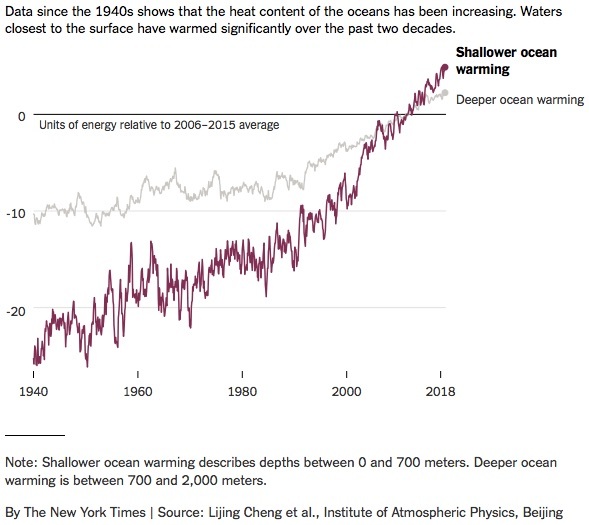 Average ocean temperatures are also a consistent way to track the effects of greenhouse gas emissions because they are not influenced much by short-term weather patterns, Mr. Hausfather said. But, historically, understanding ocean temperatures has been difficult. An authoritative United Nations report, issued in 2014 by the Intergovernmental Panel on Climate Change, presented five different estimates of ocean heat, but they all showed less warming than the levels projected by computer climate models — suggesting that either the ocean heat measurements or the climate models were inaccurate. Since the early 2000s, scientists have measured ocean heat using a network of drifting floats called Argo, named after Jason’s ship in Greek mythology. The floats measure the temperature and saltiness of the upper 6,500 feet of the ocean and upload the data via satellites. An ocean sensor deployed by the French research ship Pourquoi Pas? as part of the Argo project. 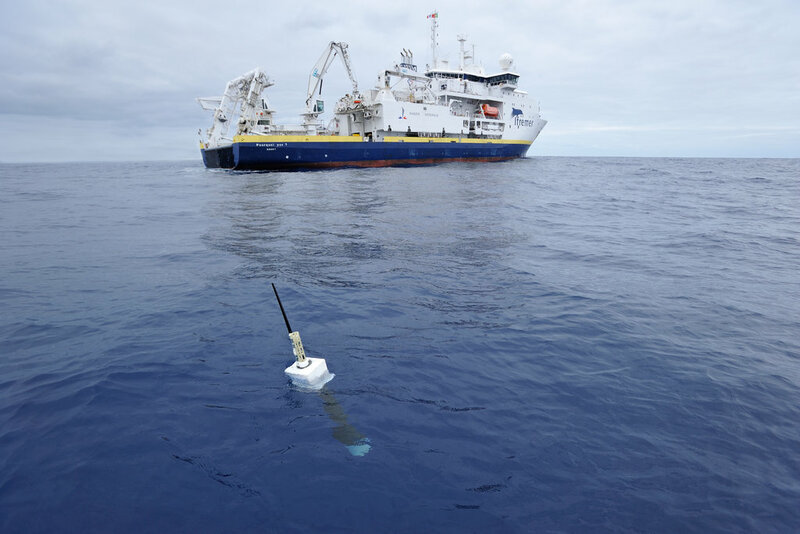 Since the mid-2000s, a fleet of nearly 4,000 floating robots have been drifting throughout Earth’s oceans, every few days diving to a depth of about 1.25 miles (2,000 meters) and measuring the ocean’s temperature, pH, salinity and other bits of information as they rise back up. This ocean-monitoring battalion is called Argo. But before Argo, researchers relied on temperature sensors that ships lowered into the ocean with copper wire. The wire transferred data from the sensor to the ship for recording until the wire broke and the sensor drifted away. That method was subject to uncertainties, particularly around the accuracy of the depth at which the measurement was taken. Those uncertainties hamper today’s scientists as they stitch together 20th-century temperature data into a global historical record. In the new analysis, Mr. Hausfather and his colleagues assessed three recent studies that better accounted for the older instrument biases. The results converged at an estimate of ocean warming that was higher than that of the 2014 United Nations report and more in line with the climate models. As the oceans heat up, sea levels rise because warmer water takes up more space than colder water. In fact, most of the sea level rise observed to date is because of this warming effect, not melting ice caps. Absent global action to reduce carbon emissions, the authors said, the warming alone would cause sea levels to rise by about a foot by 2100, and the ice caps would contribute more. That could exacerbate damages from severe coastal flooding and storm surge. The effects of the warming on marine life could also have broad repercussions, Dr. Pinsky said. “As the ocean heats up, it’s driving fish into new places, and we’re already seeing that that’s driving conflict between countries,” he said. “It’s spilling over far beyond just fish, it’s turned into trade wars. It’s turned into diplomatic disputes. A fourth study reviewed by the researchers strengthened their conclusions. That study used a novel method to estimate ocean temperatures indirectly, and it also found that the world’s oceans were heating faster than the authors of the 2014 study did. The study initially contained an error that caused its authors to revise their estimates downward. But as it turned out, the downward revision brought the study’s estimates much closer to the new consensus. “The correction made it agree a lot better with the other new observational records,” Mr. Hausfather said. “Previously it showed significantly more warming than anyone, and that was potentially worrisome because it meant our observational estimates might be problematic. The scientists who published the four studies were not trying to make their results align, Mr.
“The groups who were working on ocean heat observations, they’re not climate modelers,” he said. 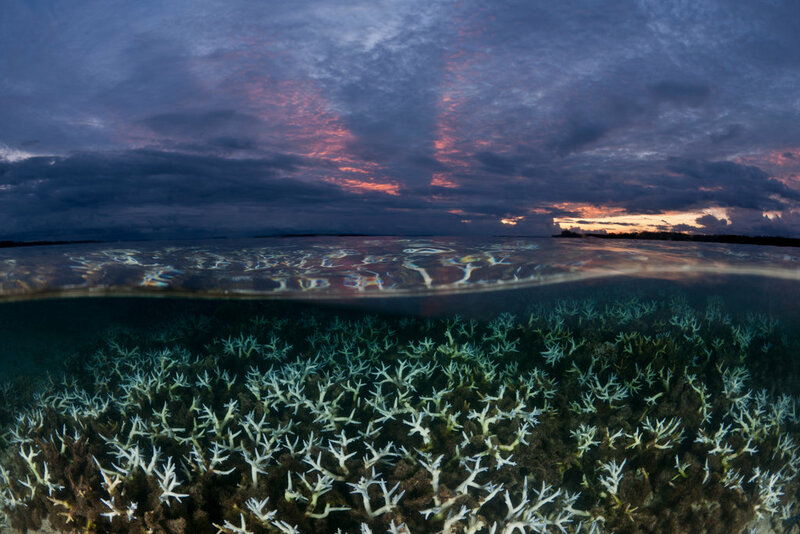 Rising ocean temperatures can bleach corals, like these off of Papua New Guinea. Dr. Zanna published a study this week that used existing data to estimate ocean temperatures dating back to 1871. The goal was to figure out places where sea level rise might happen even faster than expected because of the way ocean currents redistribute heat, allowing regions that are especially at risk to better plan for those changes. “We are warming the planet but the ocean is not warming evenly, so different places warm more than others,” Dr. Though the new findings provide a grim forecast for the future of the oceans, Mr.
Hausfather said that efforts to mitigate global warming, including the 2015 Paris climate agreement, would help.